In order to fulfil your need of watching video on PS Vita, Any Video Converter Ultimate added the PS Vita MPEG4 output profile. With the help of this powerful PS Vita converter, you can convert HD videos of AVI, MKV, WMV, 3GP, FLV, MPG, MOV, MP4, M2TS, VOB, etc. for playback on PS Vita. 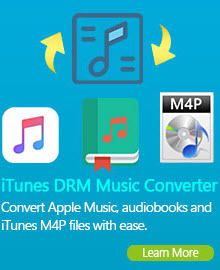 Apart from PS Vita, you can also convert online video (YouTube, Vimeo, Vevo, etc.) and home-made videos to smartphones and tablets like Samsung Galaxy Note II, Nexus 7, Kindle Fire HD, iPhone X, Samsung Galaxy S10, HTC One Series, etc. Convert DVD movies to PS Vita is also available. Download PS Vita Video converter and enjoy all the great features of this supper portable gaming device! How to Convert Videos/DVD Movies to Sony PS Vita? But since we got Any Video Converter Ultimate, we can forget about the PS Vita specs and saving time on struggling on the manuals. Now, let's get started. Please download and install it on your computer first. And then run Sony PS Vita Video Converter. 1) Import Videos: If you want to convert various videos to Sony PS Vita, please click Add Video Files to select the videos you want to convert. You can also add batch video files by clicking File > Batch Add Video Files. 2) Add DVD: If you want to convert DVD movies to Sony PS Vita, please click the Add DVD button or click File > DVD. It will start scanning your DVD, you can also choose skip. 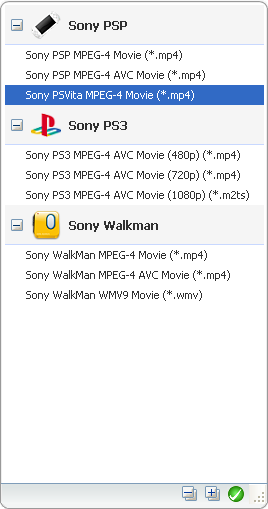 Click Output Profile > Sony Products > Sony PSVita MPEG-4 Movie. Note: For better enjoying videos on Sony PS Vita, you can unfold Video Options under the preview window to set the video frame size to 1280 x 720. You could also set other output parameters, including video codec, audio codec, bit rate, aspect ratio, frame rate, etc. Simply click Convert Now! button to convert videos/DVDs for Sony PS Vita . Once the conversion is finished, you can click "Output Folder" button to get the output files. Then connect your Sony PS Vita with PC, import output videos into it, and have fun! How to Transfer Videos to PS Vita? Step 1: Make sure Content Manager Assistant is installed and started on your computer. The Content Manager Assistant icon in the notification area of the taskbar will tell you that the application is running. Step 2: On your PS Vita system, tap (Content Manager) > [Start]. Step 3: Tap (PC), and then tap (USB cable) or (Wi-Fi). To connect using Wi-Fi, you must select the [Connect to PS Vita System Using Wi-Fi] checkbox under [Wi-Fi Connection Settings] in the Content Manager Assistant and register your PS Vita system with the computer. Step 4: Tap [ PC → PS Vita System]. Step 5: Tap [Videos] to select the need video to transfer. Step 6: Check the needed video you want to transfer, and then tap [Copy]. Tips: Besides transferring video files, you can also transfer music files to PS Vita with the same method. PS Vita Video Converter enables you to convert HD movie video into PS Vita MP4 video without loss of quality. This PS Vita Video Converter supports a wide range of High-definition video formats such as .vob, .mkv, .rmvb, .rm, .ts, mts, m2ts, .tod, .trp, .tp, etc (Learn more about Any Video Converter Ultimate 60+ supported video formats ). You can enjoy HD video in full screen and best settings on PS Vita in a few seconds. Now, watching HD movie video on PS Vita can't be more easier. Due to Sony’s browser not running Flash and YT not being set up for the console, watching YouTube on PS Vita may not be easy but Any Video Converter Ultimate gives you a neat workaround. With this PS Vita video converter, you can easily download and enjoy YouTube 1080p, 720p HD movie on your PS Vita. PS Vita Video Converter helps you to convert YouTube to MP4, YouTube to MP3 that best fit your PS Vita. Apart from YouTube, you can also download video from Facebook, Nicovideo, Vimeo, Howcast, Vevo, LiveLeak, Veoh and more online streaming video. You can make full use of your PS Vita and turn it into portable music device. 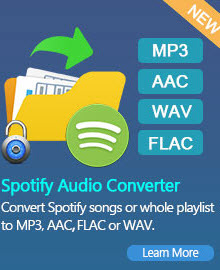 This PS Vita video converter is also an audio extractor for PS Vita, you can free extract audio from DVD movies, online video and home video to PS Vita supported audio formats like MP3, AAC, WAVE.